Today we celebrated the feast day of All Saints. 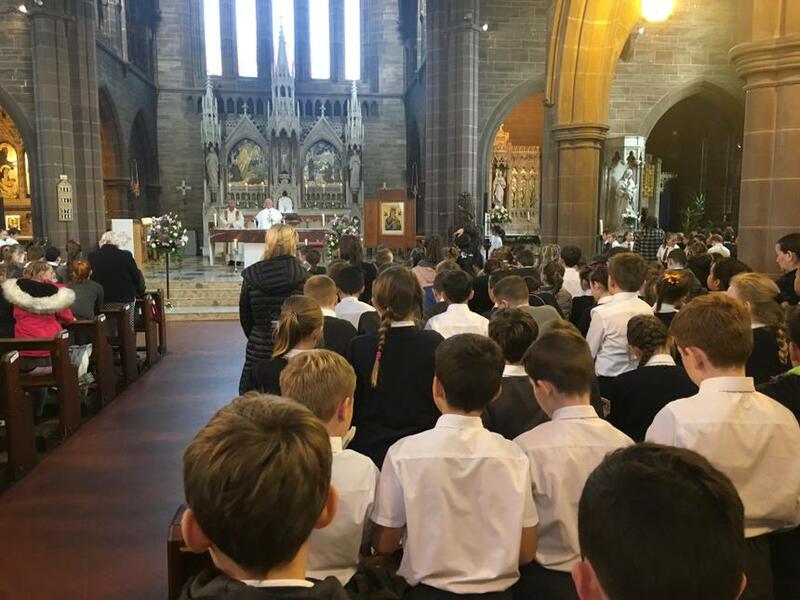 Our year 4,5, and 6 pupils attended Mass with the pupils from our other parish school, Holy Trinity. Father John Cullen and Deacon Paul were the celebrants. The children engaged in all parts of the Mass and were a great credit. Our younger pupils celebrated the day with a service led by Deacon Paul in school in the afternoon . Thank you to everyone who helped to make this such a special celebration .